A six-storey rubber duck won't call Toronto waterfront home until this summer — but it’s already making waves in the Ontario legislature. A six-storey rubber duck won't call Toronto waterfront home until this summer — but it's already making waves in the Ontario legislature. 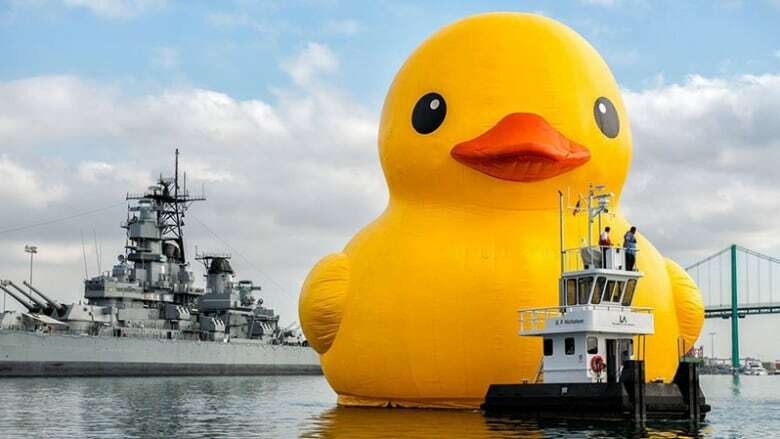 The 13,600-kilogram rubber duckie drew criticism, and many puns, from the Progressive Conservative tourism critic as he questioned why the province would help pay to bring the Instagrammable bath toy to Canada for a visit. "People are already treading water, trying to pay their bills, and you float this rubber ducky right in their faces?" Rick Nicholls said. The province gave the Redpath Waterfront Festival a $121,000 grant toward its annual Canada Day celebrations, which will be magnified in keeping with the country's 150th birthday. 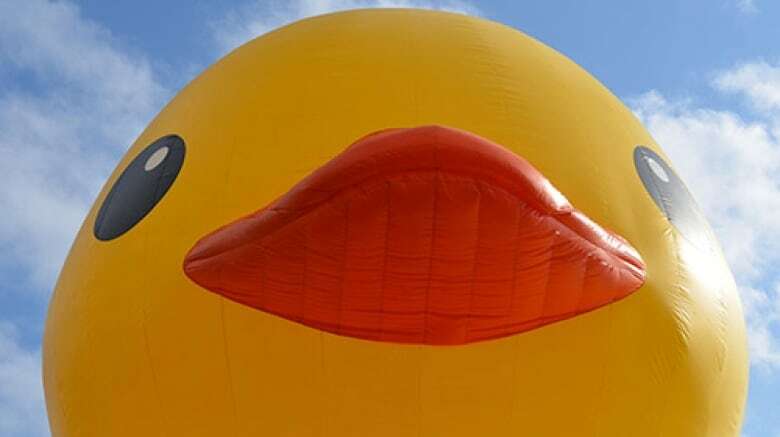 Rubber Ducky is being billed as the perfect selfie backdrop by the festival — and as a tourist attraction by the province. 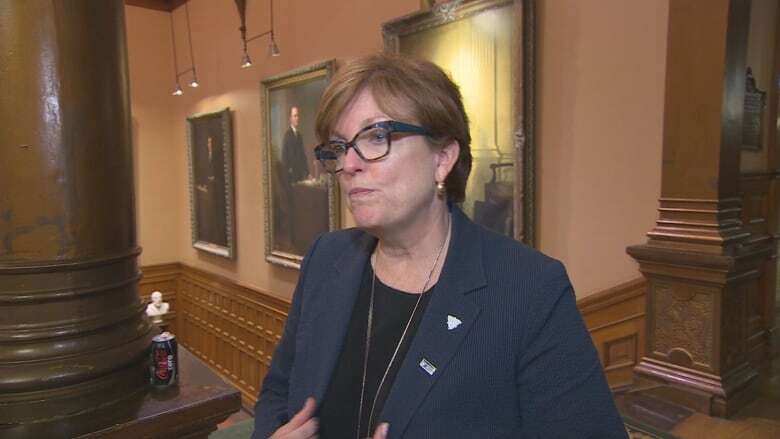 "We're not ducking any of these questions," Tourism Minister Eleanor McMahon said during question period, noting that the funding is for the festival and not the duck specifically. ​"We've actually been funding that festival for the past three years and we're funding them again ... because they create jobs, they do a fantastic job, and they bring in tourists," she told reporters later. When asked how much of the funding went specifically to bringing the behemoth bath toy to Ontario, McMahon couldn't say. It will tour the province after its three-day-stint in Toronto, something the minister said would bring tourists to the smaller communities that it visits. The Tories, however, maintained it was wasteful spending on something that had no connection to Canada's history. "It's an absolute cluster duck," Nicholls said, ruffling the feathers of the speaker of the house. McMahon, meanwhile, shot back that the duck is just one part of a much larger celebration — and said later that the opposition's "quacking" was "much ado about nothing".